The acclaimed Italian designers Ludovica+Roberto Palomba carved a serene retreat out of a 17th-century oil mill in Salento, Italy, filling it with custom creations and their greatest hits. 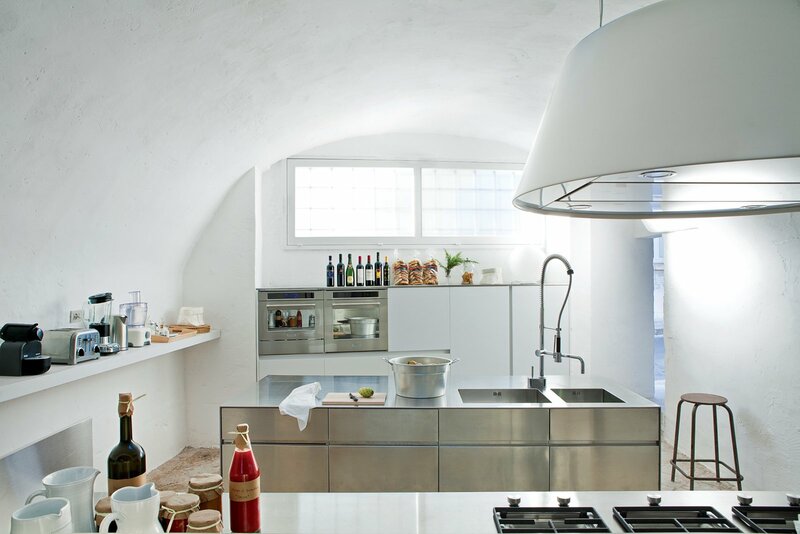 In their minimalist kitchen: sleek steel cabinet systems and the Kono range hood from Elmar. The multi-functional stainless steel island measures 20" deep and was designed by the couple for Elmar.